When the weather gets warmer, we no doubt reach for our light wash denim. But what about winter? If you’re wondering if you can wear light wash jeans when the temperatures drop, don’t stow them away—you definitely can! Here’s how to wear your light wash jeans in the colder months! The quickest way to a winter-appropriate ensemble is to reach for hues that are on-trend for the season. 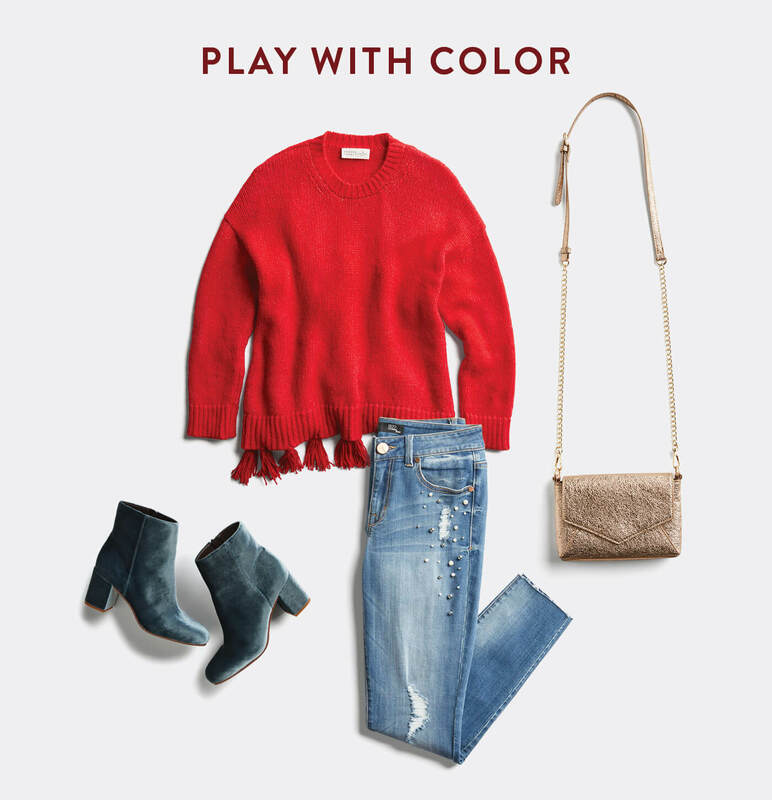 Top your light wash jeans with rich tones like mustard, burgundy and teal for an instant fall-feel. Don’t be afraid to mix two bold colors together, after all, the sun is setting way too early. Baby, it’s cold outside. Bundle up this winter with your favorite cold-weather layers like puffer vests, coats and coatigan sweaters (yes, they’re a thing). Ready to take a cue from the pro (athletes)? 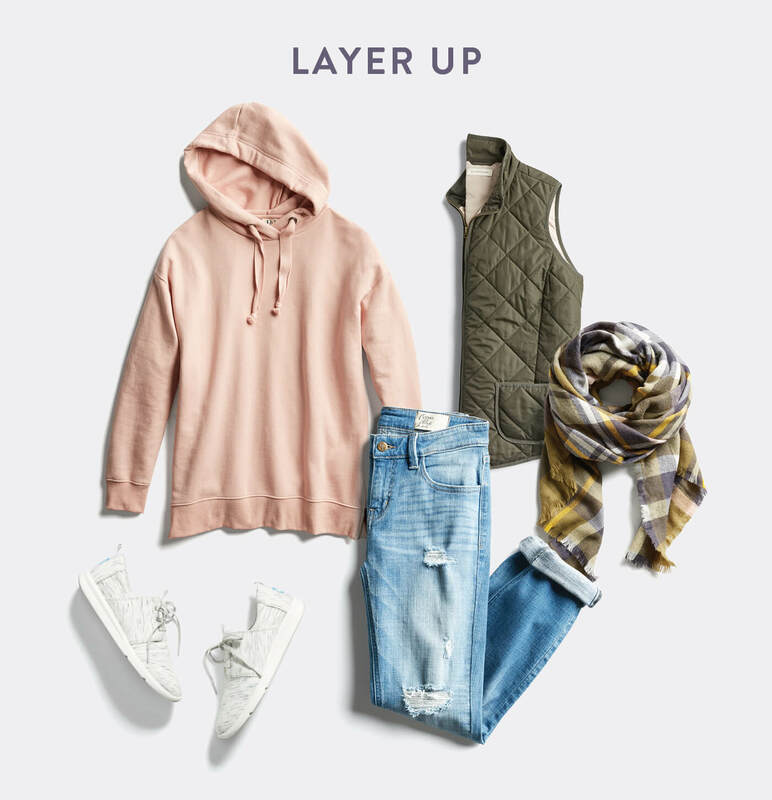 Style your light wash jeans with an athletic-inspired sweatshirt, sneakers and a baseball cap. Talk about an easy win. The holidays are on the horizon, so break out your light wash jeans to usher in every event on your calendar. 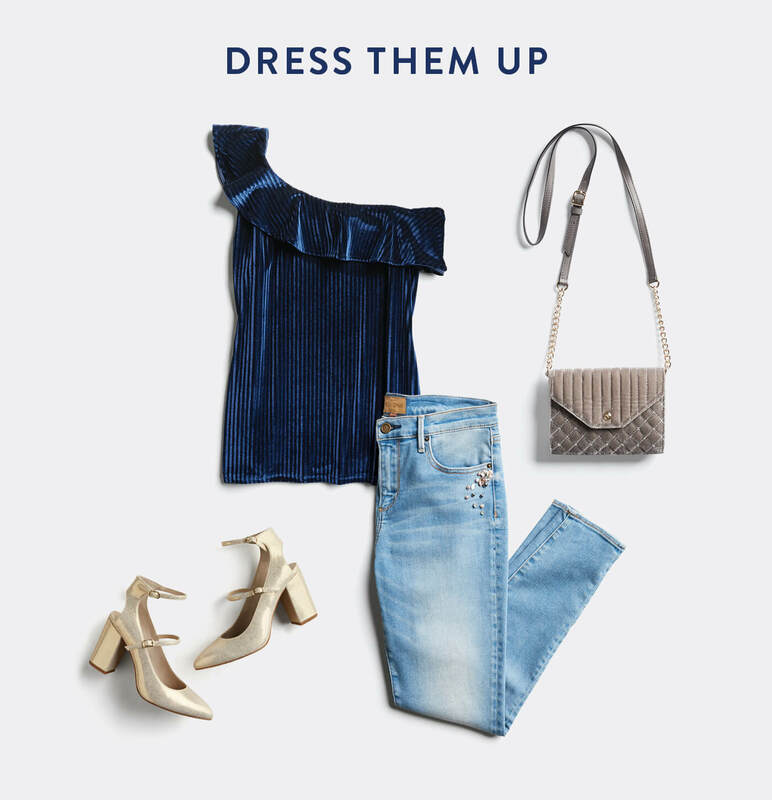 Use your jeans as a base for the rest of your outfit and add your favorite on-trend pieces du jour—like silky smooth velvet, shiny metallics and eye-popping accessories. Will you be wearing light wash jeans in the winter? Tell us in the comments!